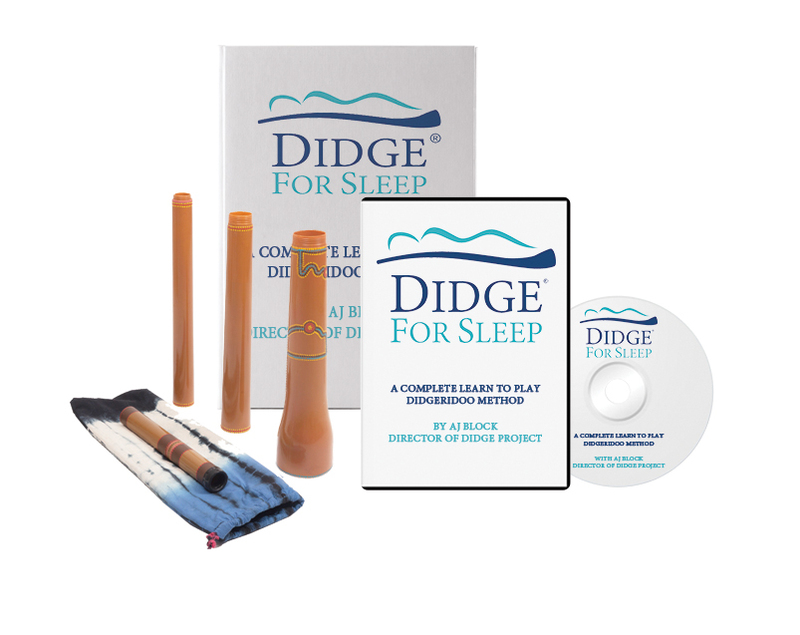 Didge For Sleep Instructional DVD (90-minutes) walks you through each exercise to maximize your practice time and playing. 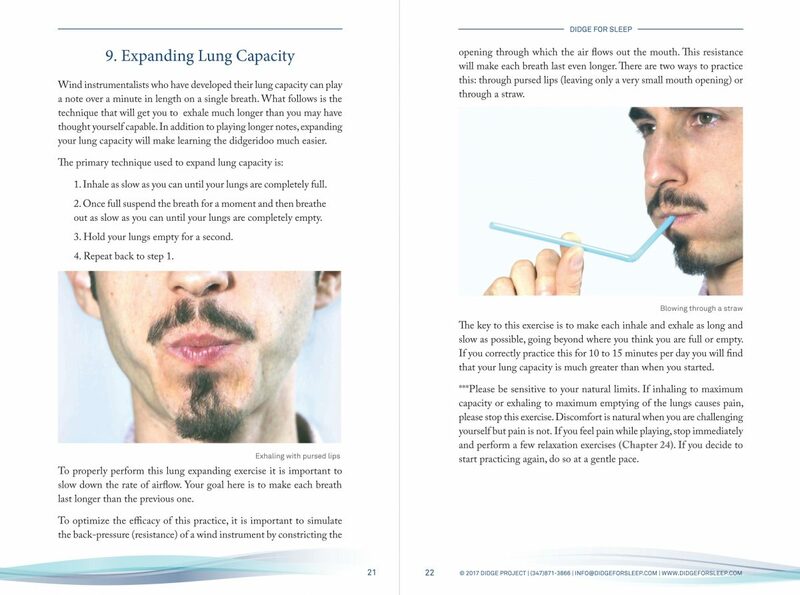 The Didge For Sleep handbook includes 36 chapters with photos and diagrams to walk you through all the exercises in the program. Also available in eBook format for no extra cost. 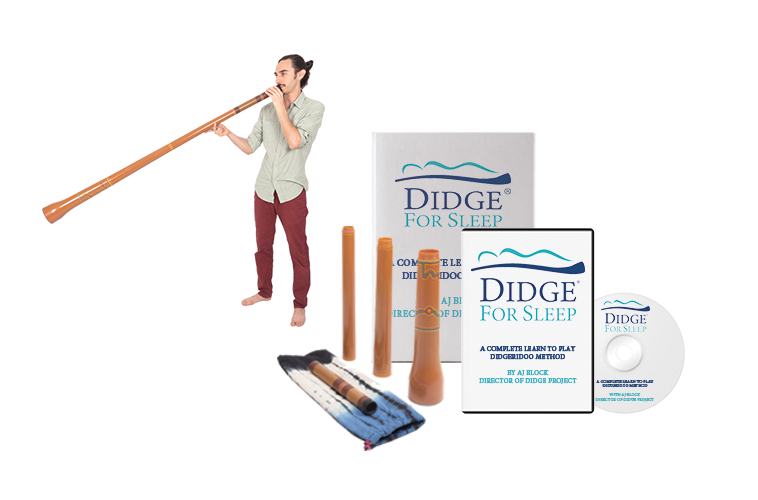 Our breakthrough methodology provides all the tools you need to learn to play the didgeridoo and get better sleep as a result. Play along with our 90-minute DVD until master every technique. Streaming version available on our Member Portal at no extra cost. Watch the first chapter of the Didge For Sleep Instructional DVD! 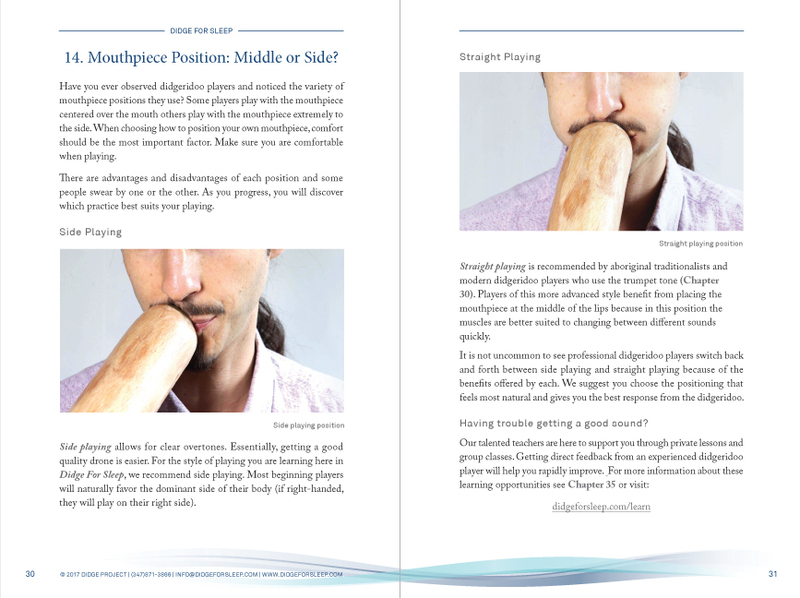 Working in conjunction with the DVD, the handbook is designed to guide you through all the basics of didgeridoo playing and serve as a point throughout your training. 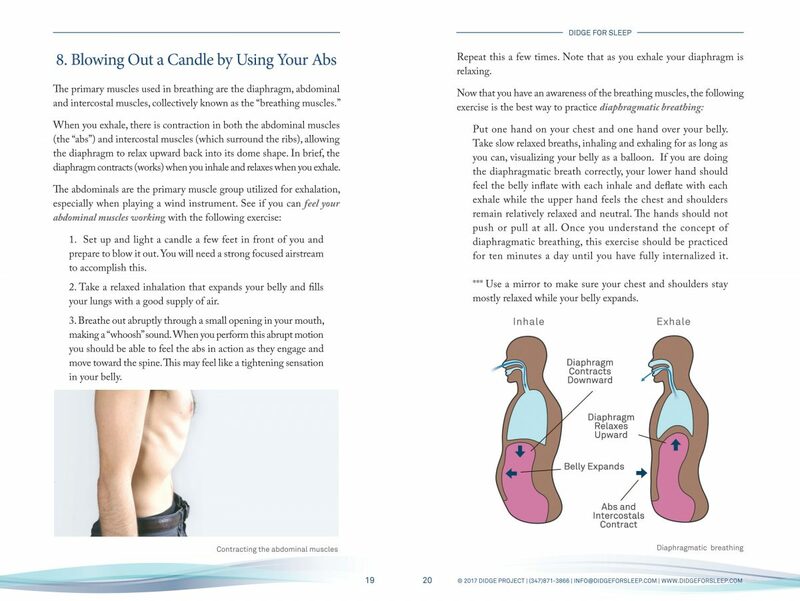 Featuring detailed photos, illustrations and step-by-step instructions. Handbook available in print (90 pages, 6″ x 9″) and eBook (PDF) formats. The travel didgeridoo screws apart into 4 pieces that nest together for easy, compact carrying. It features adjustable lengths that allow you to play in 4 different keys (D, D#, E, or F), and comes with a no fuss silicone mouthpiece. The travel didgeridoo comes with a durable fabric carrying case, making it simple to bring your didgeridoo with you wherever you go. One of the biggest issues for didgeridoo players is how to travel with their instruments. Carrying a long stick on a plane can be a hassle, especially if you are going somewhere to play purely for yourself. By having a light-weight collapsible didgeridoo in a compact bag, you are free to travel without the hassle. Best of all, this travel didgeridoo sounds fantastic and is perfect for beginners. We highly recommend this instrument for its versatility of notes, playable in 4 different keys. The sound is also loud and clear thanks to its tapered shape. Don’t be limited by size: once you get a travel didge you can take your instrument wherever you go! Over 10 hours of supplementary didgeridoo tutorial videos with AJ Block, Founder and Director of Didge For Sleep. 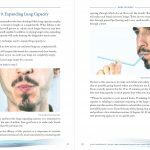 Holistic Sleep Apnea Library featuring user-submitted content on nutrition, sleep hygiene, sleep apnea exercises and more!